Mr. Jia holds a Bachelor of Science in Geology from the University of Alberta. He joined NRCan – Geological Survey of Canada (Calgary) in 2015 after serving as a Geologist at a junior oil & gas firm. He is an active member of the Association of Professional Engineers and Geoscientists of Alberta (APEGA), American Association of Petroleum Geologists (AAPG), Canadian Society of Petroleum Geologists (CSPG). He is active in the community and loves volunteering. 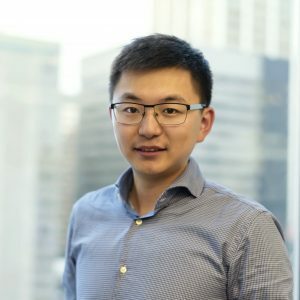 He serves as an executive committee member in different non-profit organizations including VP Events of Alberta Chinese Alumni Association Calgary, Assistant Director of Chinese Canadian Petroleum Society. Zekai enjoys all kinds of sports (especially hiking), photography, business opportunities discussion and he is also a car enthusiast.